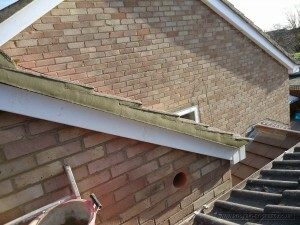 This is the extension that came up through the garage roof that I did the GRP Flat Roof for located in Abingdon Oxfordshire. 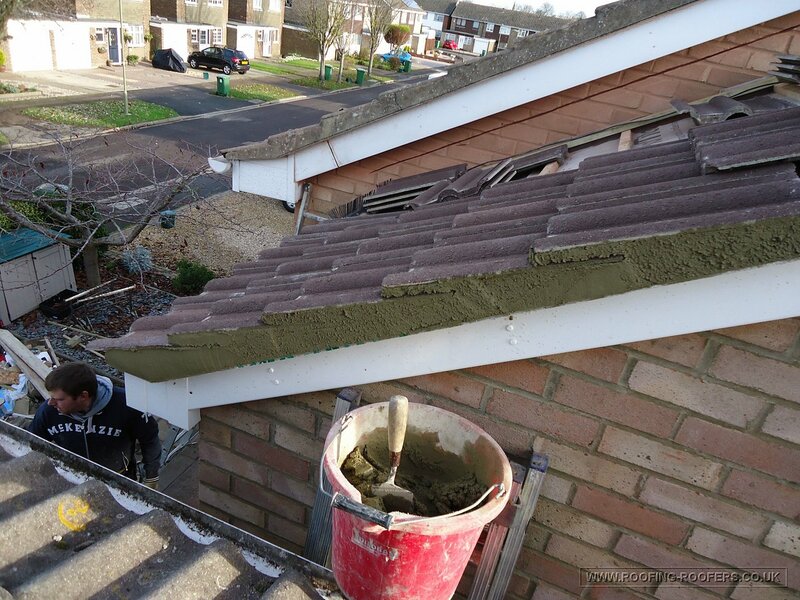 The images show the extension roof being felt, battened, tiled and with a straight lead chase flashing, with mortar work to verges and ridge tiles. 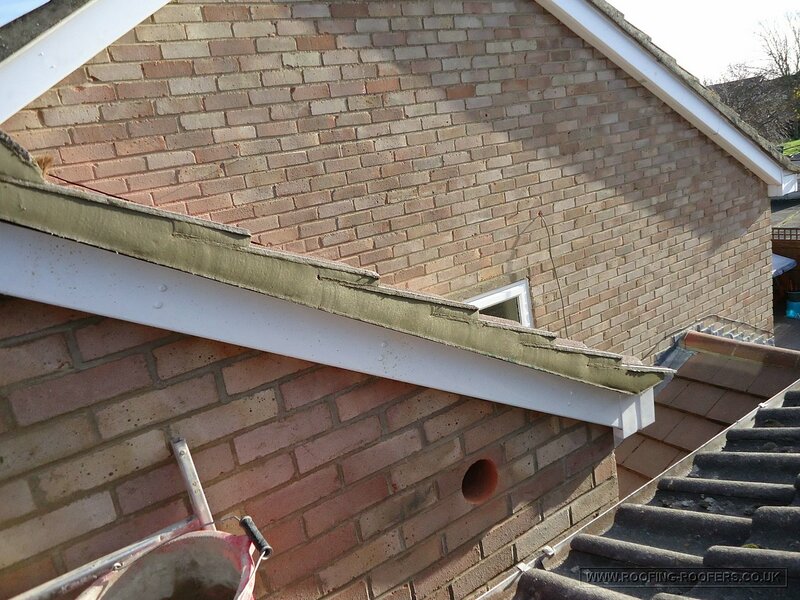 The standard stepped leadwork flashing would have looked out-of-place so close to the roof angle so the builder and client asked for it to be straight and it worked. 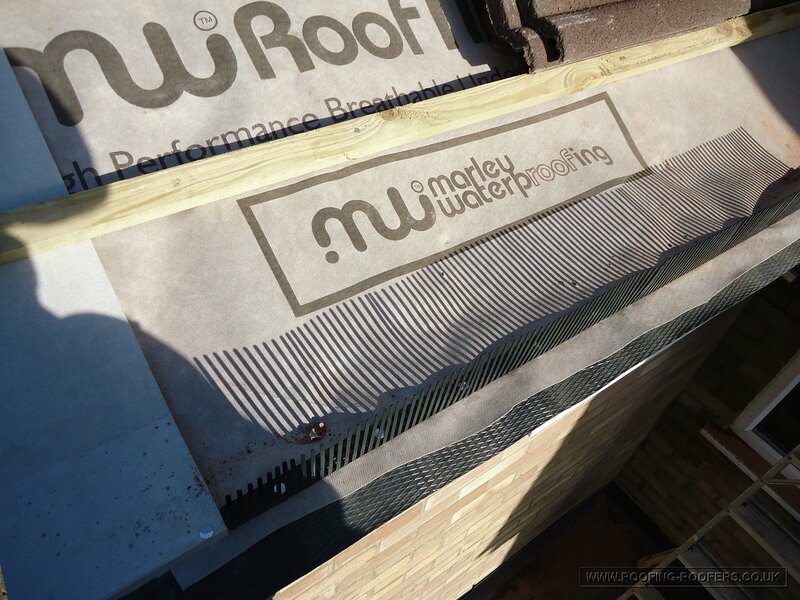 The roof felt using high quality products from Marley, battens are pressure treated for long working life, in place ready to accept tiles at the correct gauge. Click the image to enlarge for more detail. 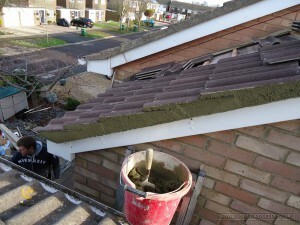 Tile edges showing the first cement fit and the chase cut ready to weather in the lead flashing. The finished cement weathering to the tile edge providing a neat finish that will set to a Portland cement light grey colour. 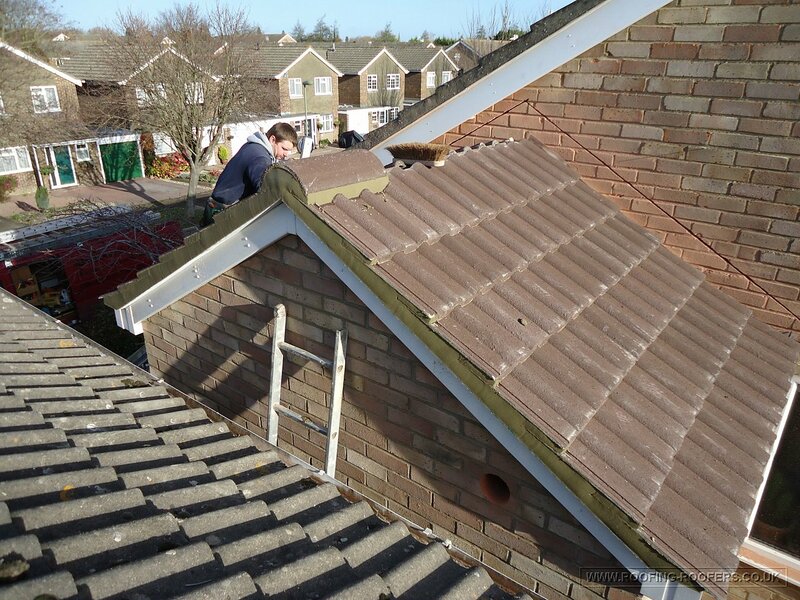 The ridge tile in place ready as a guide for fitting the remainder, you can also see the UPVC fascia boards used which is not only decorative but virtually maintenance free, they just need a clean periodically. This entry was posted in Roof Tiling and Slating and tagged roof tiling by admin. Bookmark the permalink.